Please consider us for your plant fundraising needs in Western Oregon and Washington. We produce top quality hanging baskets for our fundraiser customers. 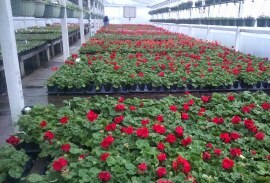 We produce thousands of healthy and beautiful geraniums for our customers each year. 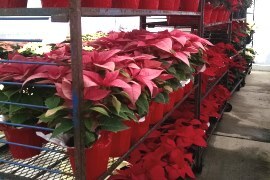 Our 2016 Poinsettia fundraiser program is now available. See photos of what we are shipping this week, and register for a password to view weekly availability lists. Participation in our Fundraiser programs is open to schools and non-profit groups in the Northwest. 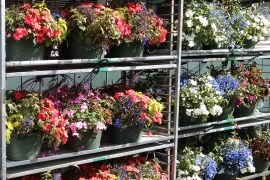 We offer the most popular flowers, herbs, vegetables, planters, and hanging baskets for fundraising purposes.